A lot of people are upgrading from 32 inches LED TVs to 43 or even 49 inches LED TVs. This is why we have come up with a list of best 43 and 49 inches LED TVs under 35000 available in India as of April 2019. All these LED TVs are from brands like VU, Mi, TCL, Onida, and LG. You won't find many options from big brands like LG and Samsung because their prices are high and you have to pay around 40000 for a 43 inch LED TV. All the LED TVs have been tested by hundreds of users and reviewers and they are rated above 4 stars out of 5. All these LED TVs have a large display which provides an immersive viewing experience with clear sound. You won't feel the need of adding external speakers. The displays of these televisions have a size of 43, 49 and 50 inches and the resolution is Full HD or Ultra HD 4K. 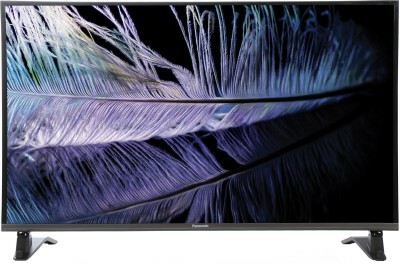 If you are looking for a nice 4K tv under 35000, we have 4 options for you on this list. Some of the LED TVs are Smart TVs and some are non-smart. The price of televisions on this list is between 25000 and 35000. If you can spend more then take a look at our best 43 inch LED TVs under 40000. 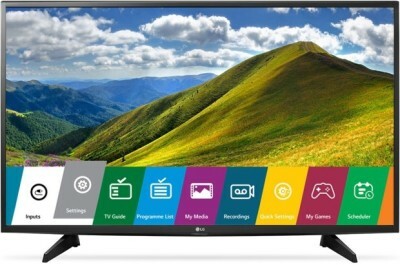 Let's take a look at best 43 and 49 inch LED TVs under 35000 in India 2019. Blaupunkt is a German electronics brand which entered the Indian market in 2018. Blaupunkt, as a company has expertise in making great audio equipment and audio, is the USP of their televisions as well. This LED TV from Blaupunkt comes with a sharp and bright 4K Ultra display of 49-inch size. The large display and high resolution make sure that you get an immersive viewing experience. The special thing about this television is its sound output. There is a soundbar built into the frame and there are a total of 4 speakers which deliver 60W sound output. Most of the LED TVs come with dual speakers having 20W output but here you are getting 3 times of that. The sound experience of this TV is incredible and you would love watching movies and music videos on this tv. 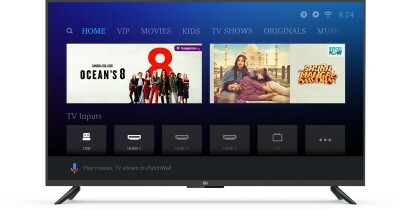 It is a Smart TV so you can use the preinstalled apps to watch tv shows, movies and play games as well. A lot of apps are pre-installed and if you need more there is an app store for that as well. To connect pendrive, set-top box etc there are multiple USB and HDMI ports available. The TV comes with a voice-enabled remote and you can use voice search in apps like YouTube which can be very useful at times. At a price of under 35000, this TV provides a nice beautiful display, smart features and the best audio experience in this category. If audio is something that matters to you most then this is the tv you should buy. So this was the list of best 43 and 49 inch LED TVs under 35000 in India 2019. We hope the list was helpful for our users and you were able to find a good option. LG is the best brand you can get. They have great televisions and after sales service is excellent as well. If you want to save some money then TVs from Mi and VU are good affordable options.